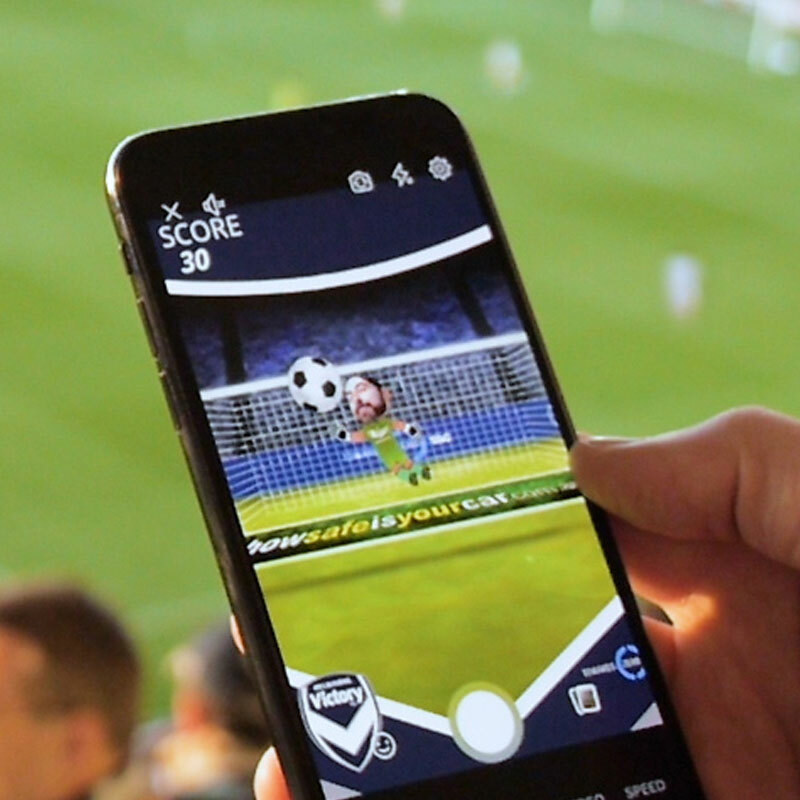 THE DAILY TELEGRAPH HAS TAKEN FAN ENGAGEMENT TO THE NEXT LEVEL WITH LIVE VIRTUAL REALITY GAMING AT THE SYDNEY CRICKET GROUND AND THE BIG BASH. The Big Bash has been a revelation for cricket reaching a new audience, attracting new fans to matches and increasing cricket participation amongst both males and females. Along with the fast, entertaining format of the game, the marketing of Big Bash cricket has boosted its appeal with families and younger fans. 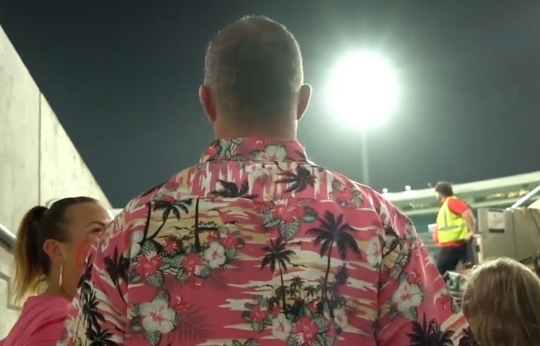 Fan engagement has been put at the heart of the refreshing new marketing approach for Big Bash Cricket which is all about giving fans more entertainment and new experiences as part of each match. The results have been so successful that in only its 7th season, over 1,000,000 fans attended Big Bash matches. The Daily Telegraph is an Official Partner of the Sydney Sixers. As testament to the innovative approach to Big Bash marketing, the partnership teams from The Daily Telegraph entered into planning for the BB07 season with the objective of creating unique, engaging and technologically advanced match day activation for Sydney Sixers fans. 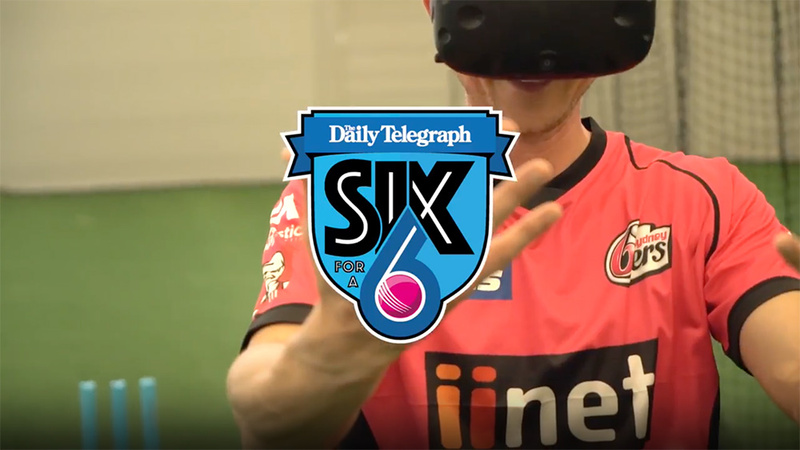 The result was The Daily Telegraph Six for a 6, a virtual reality game which features a virtual model of the SCG and Sydney Sixers Captain Moises Henriques. In the game, participants hold a virtual cricket bat and face 6 bowls from Moises. Using the physics of batting and the latest VR game modelling, the VR experience is the closest most fans will ever get to batting on the SCG. 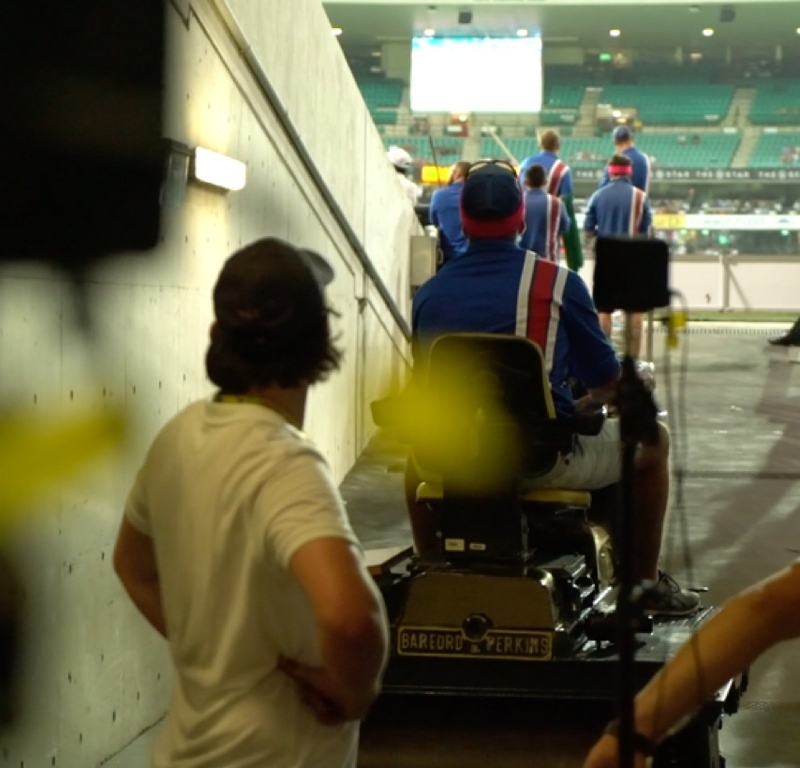 Everything the participant could see in the VR Headset was also relayed onto the big screen at the SCG, which allowed fans the chance to see what the player was experiencing within the headset. The virtual reality Six for a 6 game was played in front of a total of 124,074 people and projected onto one of the largest outdoor screens in the Southern Hemisphere. This makes the Six for a 6 experience arguably the largest and most advanced virtual reality activation in Australia to date, seriously raising the bar for other sporting teams and sponsors. For most of the participants, Six for a 6 was the first time they had worn a VR headset or experienced VR gaming. 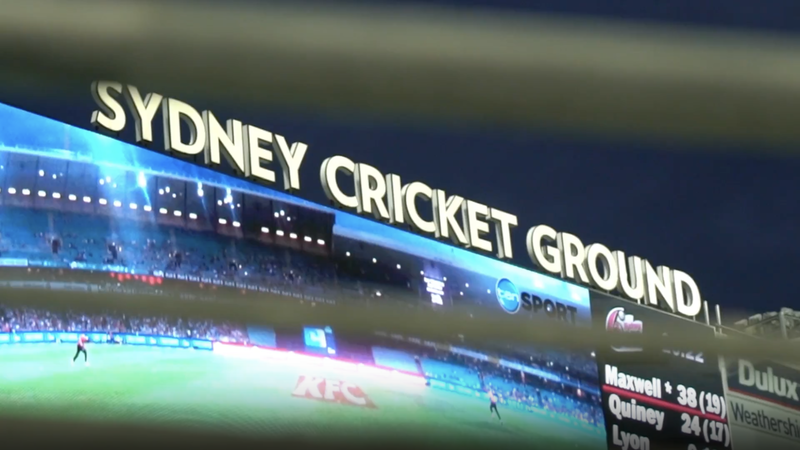 Being transported into the centre of the SCG where they could take a 360 degrees look at iconic stands, such as the famous Ladies and Members pavilions and the new $200 million Bradman Stand, had an instant impact on participants. It is a perspective normally reserved for professional sporting teams which makes the experience like no other. 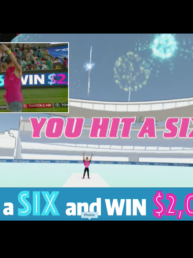 Six for a 6 was also trialled by Sydney Sixers players Peter Nevill, Mickey Edwards and Joe Denly, who were surprised at the realism of the experience and the difficulty of hitting a six. Watch the video below to see how they went! 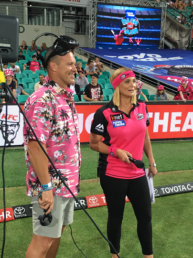 At the five Sydney Sixers home games this season, one lucky fan was chosen to participate in Six for a 6 during the Innings Break on the Sydney Cricket Ground. At the Daily Telegraph fan zone, participants attempt to take their best classic catch with a winner being chosen based on the style and difficulty of their catch. 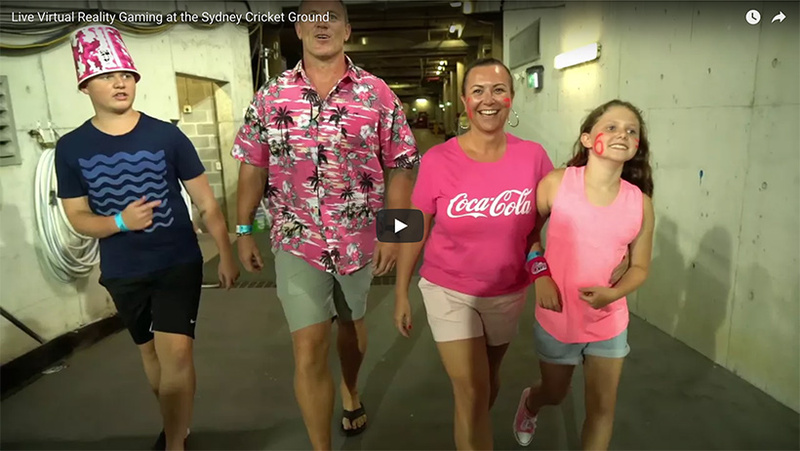 The selected fan and their family were then taken behind the scenes at the SCG before running out onto the field during the Innings Break. The participant then has 6 attempts at hitting a six to win $2,000! Fans in the crowd also had the chance to win $2,000 by taking a ‘virtual catch’ with cameras at the SCG scanning the crowd and picking a winner. 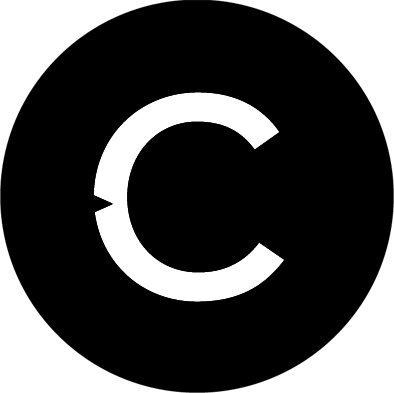 High end virtual reality computers and room scale VR systems are normally run in controlled environments and can take hours to setup. Six for a 6 allowed only a 5 minute window to set-up all the technology and run the activation. 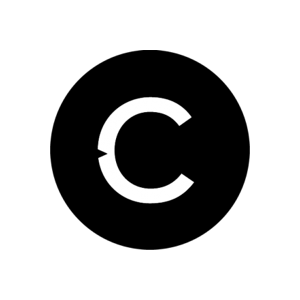 To achieve this, a buggy to carry the computer and virtual reality technology had to be specifically built, including pneumatic tyres which measured over 3 meters for added stability. Technicians from Catalyst and the SCG Trust then had to ensure power and AV cables were connected enabling the relay of the VR content onto the big screen. The results from Six for a 6 have been huge. Hundreds of fans participated in the Daily Telegraph fan zone activation, and even more were watching Six for a 6 on the field and on the big screen at the SCG. The response from fans to Six for a 6 has been overwhelmingly positive.